Do you know who's been taking over the clean and wholesome romance category by storm? Billionaires! Yes, the latest trend in romance, especially sweet romance, are wealthy leading men. Along with the extra zeroes in their bank accounts, these male characters appeal to readers because of their power and presence. You could say that billionaires are ultra alpha males, men who have the capacity to take care of the women in their lives. I can definitely understand the appeal that these stories have, which is why I decided to write my own take on them. My Billionaires with Heart series looks at three siblings who come into wealth through a family inheritance. Due to their background, they're a little more grounded than someone who may have been born rich, but they also have access to the benefits that come with wealth. Most importantly, these siblings learn that love can't be bought. 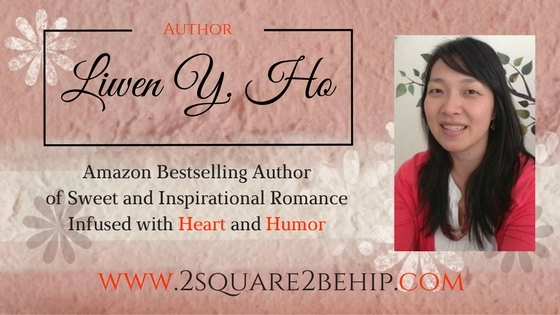 Each story gives a glimpse into their lives as they navigate through the ups and downs of building and mending relationships with the ones they love. 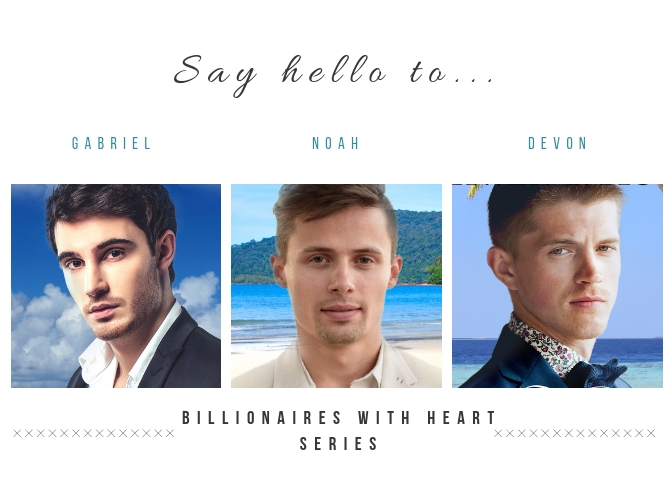 Without further ado, may I introduce you to the leading men in this series: Gabriel, Noah, and Devon! The first story, At Odds with the Billionaire, is now available on Amazon.com for 99¢ or free with Kindle Unlimited. 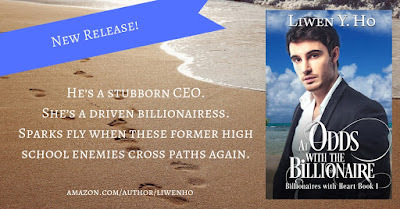 Do you like romance books featuring billionaires? Let me know in the comments below! Be sure to join us over at the Sweet Romance Reads Cafe on Facebook for a great community of like-minded readers who enjoy reading sweet/clean romance! Fun and an interesting concept. The heroes look dreamy and can't wait to read! Haha! Not at all, Lyn! Some of the things I learned while I was researching blew my mind. They are definitely in a different class. What an interesting series! Thanks for sharing. Glad this caught your eye! Thanks for reading and commenting. I enjoyed Gabriel and Seraphina’s story looking forward to read the other stories. I committed on the other page, but I said one here or there is okay. But not a series. When I came over here and saw there were only three who are siblings, that works. I know if you write them they will be good. Can't wait to read them, Liwen. Those are dreamy covers!